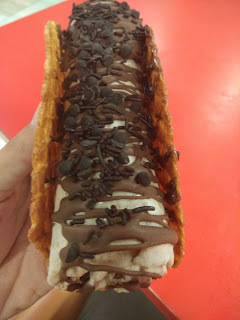 Bang in the center of South Court section of HUDA Metro Station, Gurgaon is this cute little dessert parlor serving some interesting dessert options. It's been open now for more than three months and the other day I skipped dinner to visit and review this place. 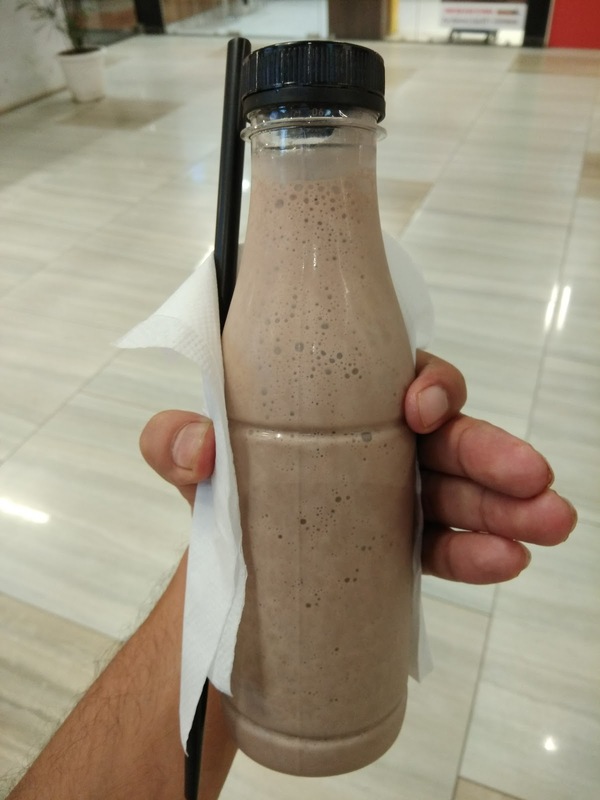 The Choco Chip Shake was thick and chilled, the way we always like it to be. They have a neat list of shakes and all look good. I tried the choco chips one, but blueberry one is also popular. 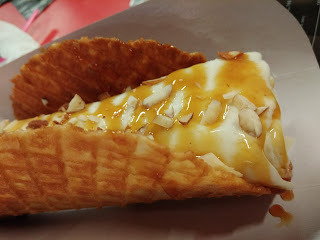 Kesari Badaam Ice cream roll with taco waffle was good but not their best item on the menu. The way these rolls are prepared live in front of you is a fascinating experience in itself. 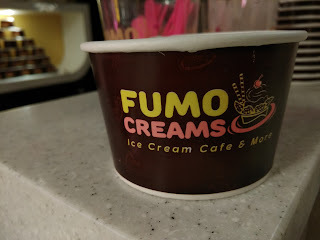 Fumo Creams has a wide variety for chocolate lovers and Hazy Hazelnut is one of the best they have. Hazelnuts are used in abundance and the chocolate flavor accentuates its flavor. 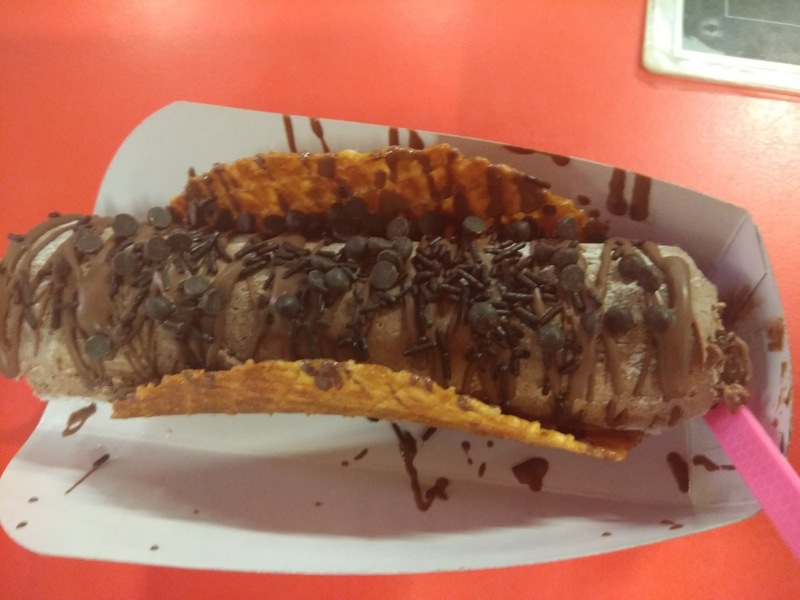 Choco Brownie Buzz is the best roll of the lot. I am a huge fan of chocolate and choco ice creams and really loved this one. It blends in the brownie into the ice cream roll very well. My recommendation would be to try the Fumo special, which is basically a combo of two ice cream rolls. They also have some neat tricks with nitrogen, which I avoided somehow but you can give it a shot. Especially the dragon breath. I saw people ordering it and it looked beautiful.